California Officials Set Up Invasive Swamp Rodent Hotline : The Two-Way Nutria can grow up to 2.5 feet, weigh 20 pounds and wreak destruction wherever they go. State authorities believed they were extinct, but recent sightings have led to a call for the public to help. 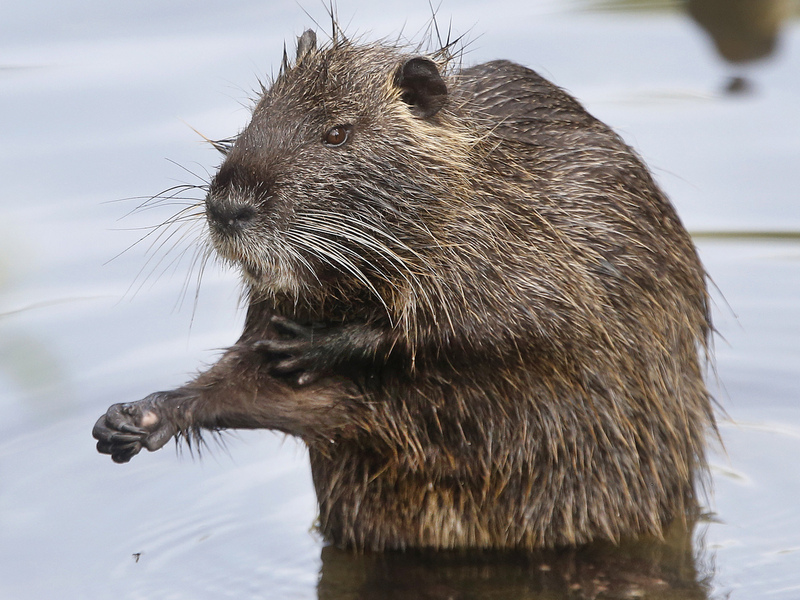 Nutria were believed to have been eradicated in California, but the swamp rodent is back. Wildlife officials want the public's feedback before devising a new plan to get rid of them. "We have no idea how many there are or how they were reintroduced," Tira said. "We don't know if someone set one loose or if there was an isolated population out there that we didn't know about. But we do know we have to get rid of them." The invasive animals can grow up to 2.5 feet, not counting a foot-long tail. They weigh up to 20 pounds and wreak exponential havoc on their environment. They destroy wetlands, flood control systems, cause severe soil erosion and damage levees. They also degrade water quality and can contaminate drinking supplies with parasites and diseases transmissible to humans, livestock and pets. The department allows anyone with a hunting license to kill up to five nutria per person per day. Those with a commercial license can even earn money for the nutria they harvest. Manuel said her agency pays $5 for each nutria. "[Nutria] has a stigma of being like a rat, but it's not closely related to a rat. It's more like rabbit or squirrel in terms of meat," she said, adding that her co-workers will often bring plates of nutria into the office.